It’s an awful feeling of disorientation when you discover your Instagram has been hacked. Unfortunately, many users have been experiencing that disorienting feeling. 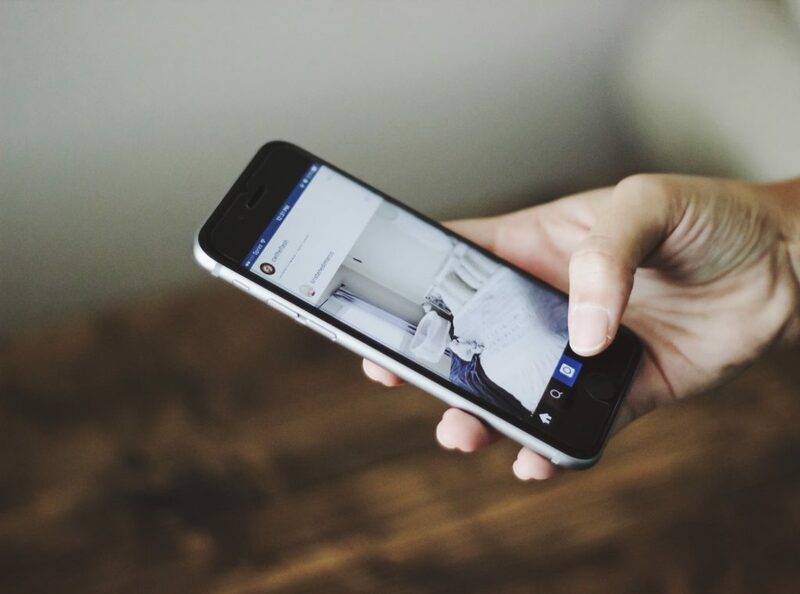 According to Fortune and Mashable, hundreds of Instagram accounts have been hacked this month, with the number of targets increasingly growing. These hacks, bizarrely, have identical characteristics. Fortune reports that those who are hacked realize they’re suddenly logged out of their accounts and can’t log back in. When examining their accounts using their friends’ profiles, these users see that while their other pictures are untouched, their profile photos have been replaced with animated characters from Disney and Pixar. Additionally, users find that their contact information has been changed to Russian email addresses, distinguishable by the .ru domain, making the hack even more unsettling. Here’s another unusual element of these hacks: the attackers do not post images from the invaded accounts even though they gained full control over the users’ data. If you’re worried that your account is at risk, there are precautionary measures you can take to protect yourself. The sooner you take action to protect your account, the more likely you will remain safe from this latest social media threat. Here are some of the ways you can do that. Make sure it’s a strong password. Include at least six numbers, letters, and punctuation characters (e.g. ! and &). Don’t use the same password you use for other accounts. Hackers look for patterns across accounts to break into the accounts of their victims. The more unique your password, the better. Set reminders on your phone to change your password regularly. Regularly updating your password will better protect your account from hackers. Don’t share your password with anyone. Unless it’s people you trust, and you need to share your password with them for a very good reason, there’s no reason to let anyone know your password. Since your email address is essential to logging into your Instagram, it’s just as important to protect the password for your email account. Just as you should regularly update your password for Instagram, you should also routinely update your email’s password. But don’t use the same password for both accounts: keep them unique to make it harder for attackers to hack. Hackers can get to you using third-party apps. 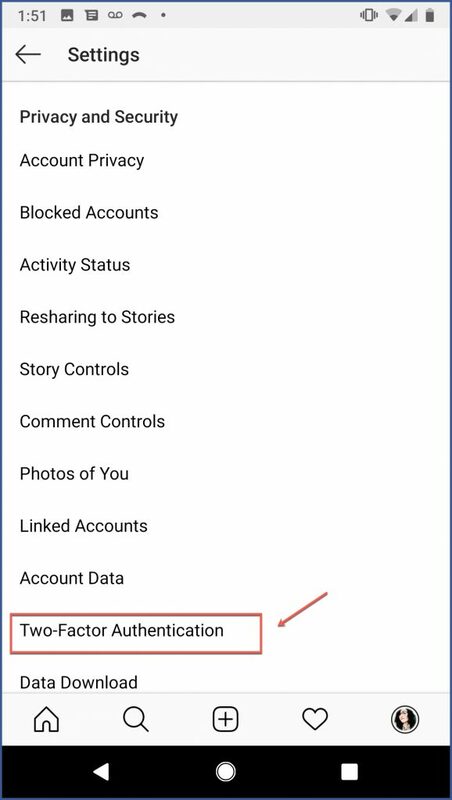 To protect your data from apps you don’t trust, go to the Authorized Applications section of your account settings via the desktop application. 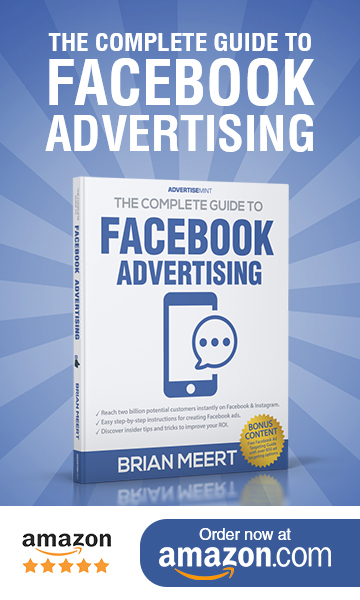 Once you see the apps you’ve authorized, choose the ones whose access you want to revoke. Two-factor authentication is Instagram’s recommended security feature that requires anyone logging into your account from an unknown device to enter a code after filling out the username and password entries. 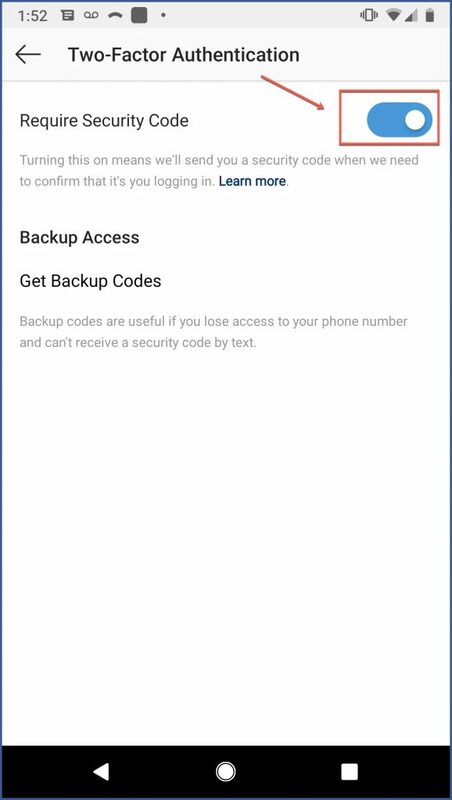 Using the phone number linked to your account, Instagram sends you the security code via text message. 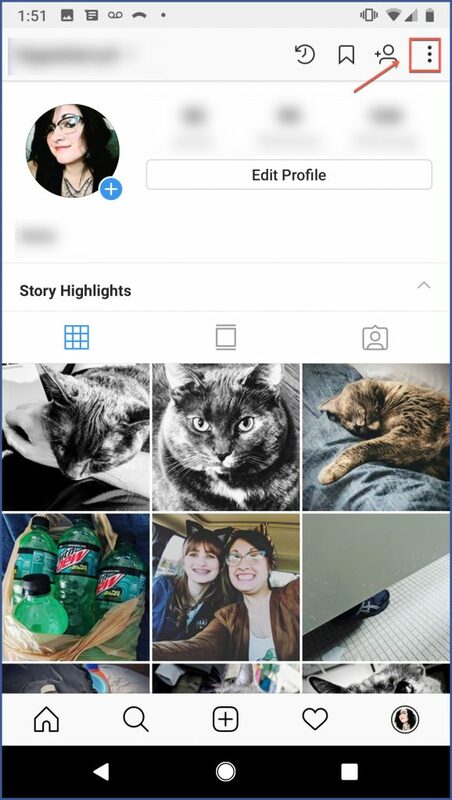 Whenever you or someone tries to log in from a device Instagram doesn’t recognize as yours, a second step will require the entry of that security code. A hacker cannot get into your account without that unique code, which is only accessible through your phone. Step 1: Go to your account settings. Step 4: If you do not yet have a confirmed phone number connected to your account, you will be prompted to provide one. 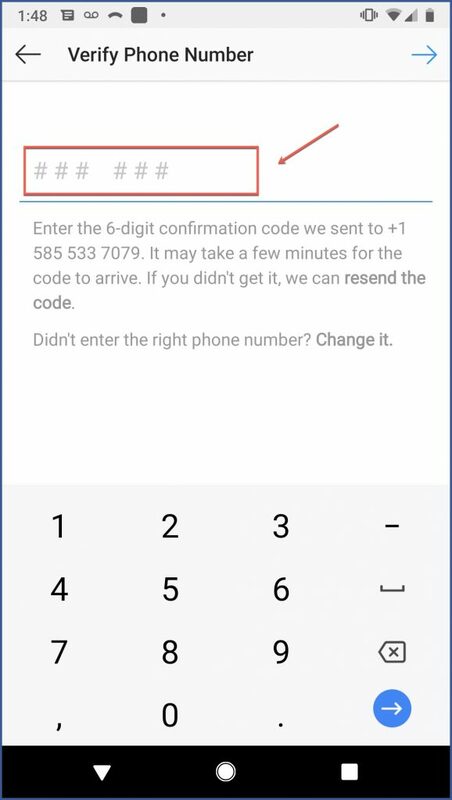 Once you have your number connected, you will receive a unique code via text. Enter the code in the field provided, then press “Next.” And you’re done! It’s easy to forget something so simple since we have no need to log out of our social media accounts on our phones or private computers. But staying logged into devices that others use is a surefire way for someone to steal your login information. Always log out of devices that aren’t private and be sure leave the “Remember Me” box unchecked. If your account has already been hacked and you can’t log in with your password, you should select the “Get help signing in” option on the platform’s login screen. Follow the prompts that allow you to use your username or email address to recover your account. If the hackers changed your username or email, there’s also an option to use both your username and email to recover your account. In some cases, your account may have been hacked but you can still log in. If this is the case, you should immediately change your password and proceed to take the preventative measures discussed in this article to keep your account safe. For more information about online security, read about the five best practices for protecting yourself against cyber breaches.